You need to purchase "a Metering License" from Alcatel. 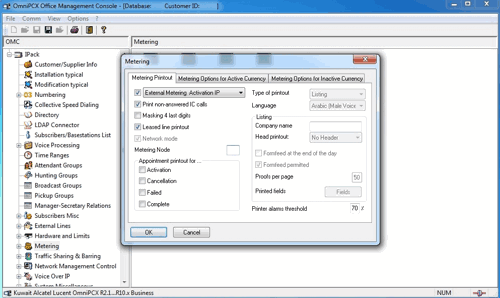 It is impossible to record call accounting data via IP or RS232 without ordering a Metering License for CAPInterface and using OHL Driver (doesn't work if you do not have the metering license inside your PBX). 1. Open "OmniPCX Office Management Console" and connect to your PBX using the "Installer" account. 2. 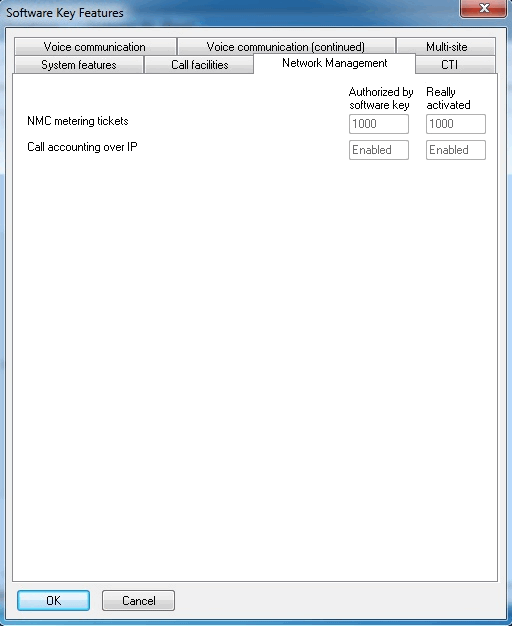 Go to the "Software Key Features - Network Management" tab and ensure that the "Call account over IP" option is enabled. 3. Go to the "Metering - Printout" tab and set the following options. 4. 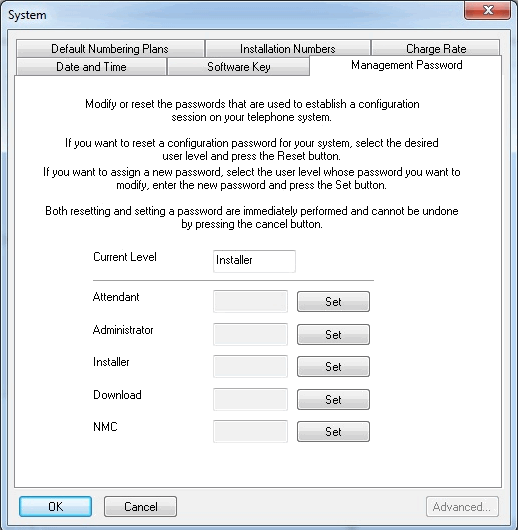 Go to the "System - Management Password" tab and set the password for "Administrator". 1. 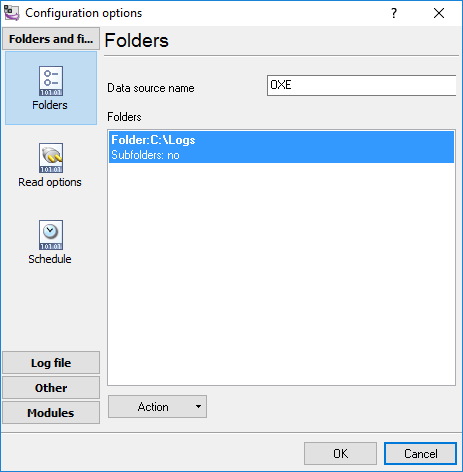 Create a C:\Logs folder. The driver will store data in this folder. 2. 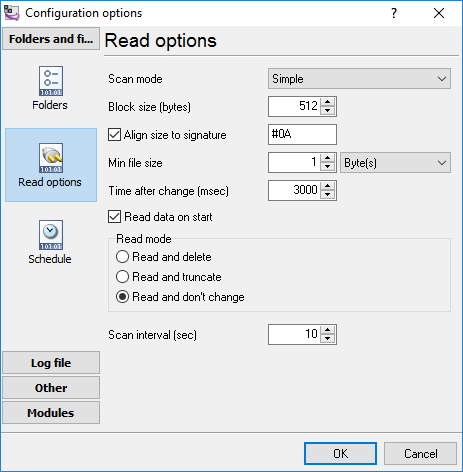 Download the latest version of the Office Link Driver (for example, OLD Driver). 4. Go to the driver folder, right click over appliconf.exe and select "Run as Administrator". 5. Specify the IP address of your PBX and the admin password, then click the "Test Connection" button. If the test is successful then you should click the "Save" button. 6. Open OhlDriver.conf in the program folder using Notepad or any other text editor. 7. Scroll to the "Metering parameters" group and specify the created folder after METERING_COLLECTOR_DIR=. Change METERING_COLLECTOR_MAX_TICKET to 100000 (after this limit the driver will create a new XML file). 9. 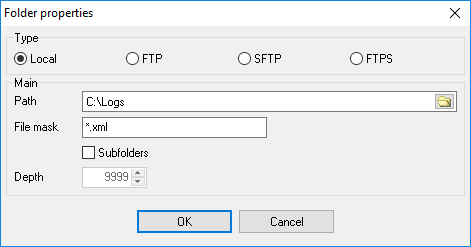 Create the "File" data source in the PBX logger and add the folder with the "TicketCollector.xml" file.